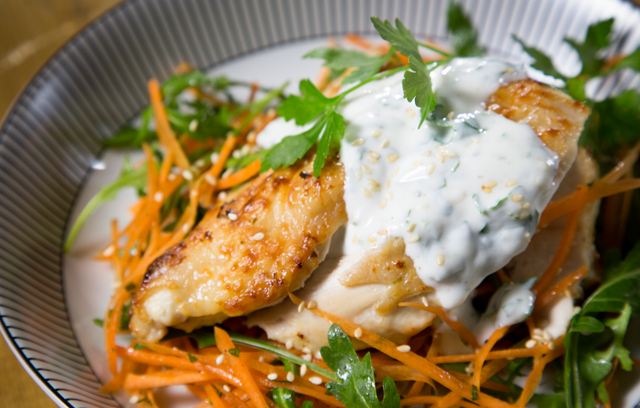 1) Spice up dull dinner times with Roasted Chilli Chicken, Carrot Slaw and Tangy Yoghurt Dressing. 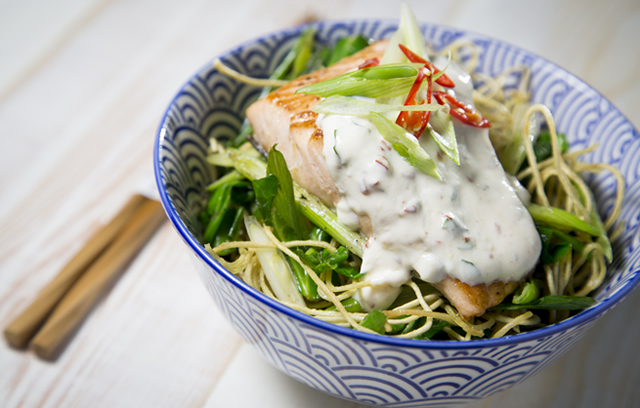 2) Try something different with Roasted Peppered Salmon with Chilli Yoghurt Dressing, served on a bed of crispy noodles. 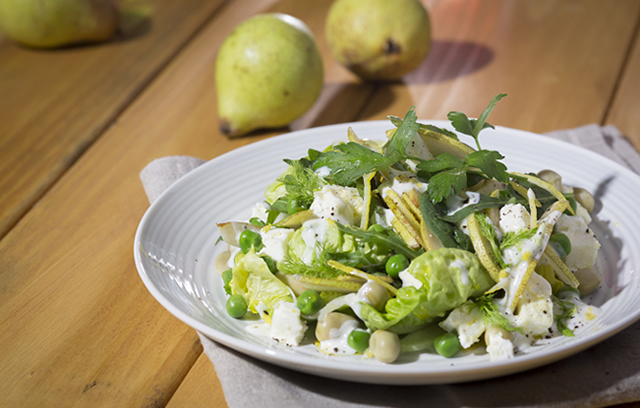 3) An easy-to-make lunch option, this Green Feta Salad with Mint Dressing is ready in minutes and devoured in moments. 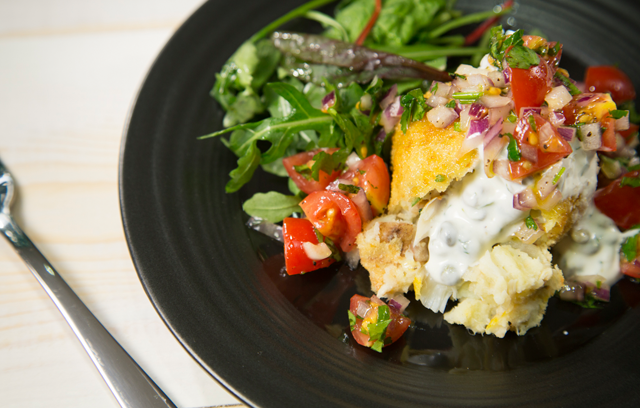 4) These delicious Smoked Haddock Fish Cakes with Caper Dressing are a fuss-free, easy mealtime fix. 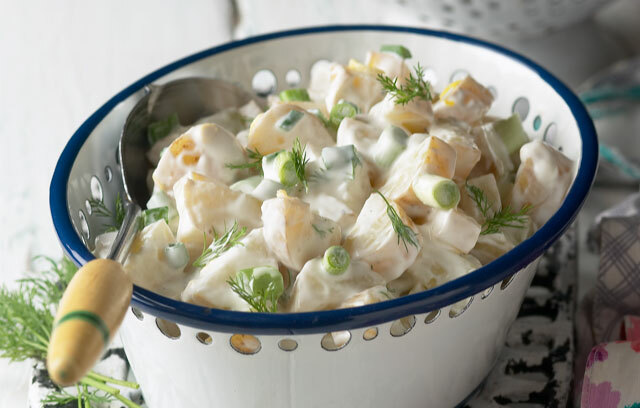 5) Mixing fat-free yoghurt with mayonnaise is a great way to make a lighter Potato Salad. Perfect for picnics, or with meat, fish or quiche. 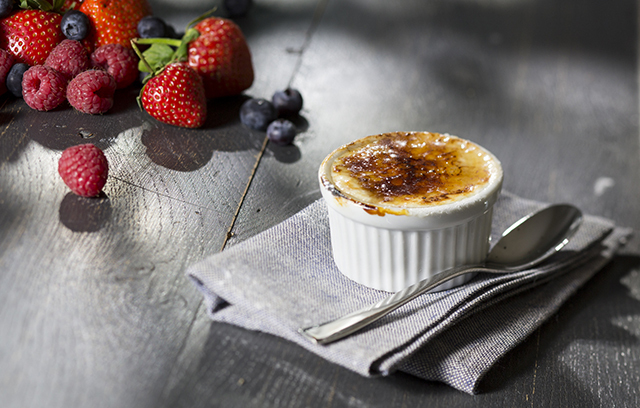 6) A healthy-twist on a creamy classic, this Deliciously Light & Fruity Brûlée uses yoghurt for a delicious and fruity dessert. 7) Shake it up! 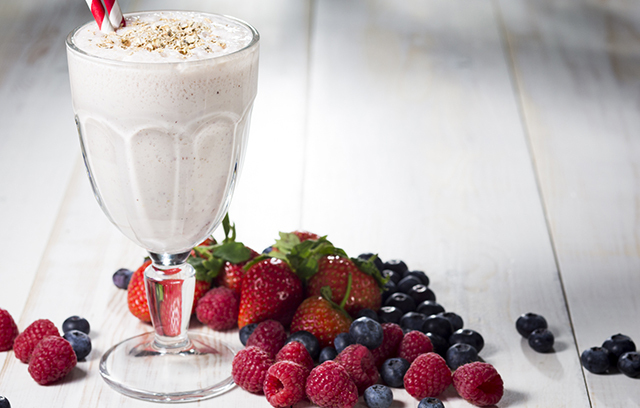 This Fruity Breakfast Milkshake is swift to make and easy to tailor: add different fruit or oats to really make it yours. 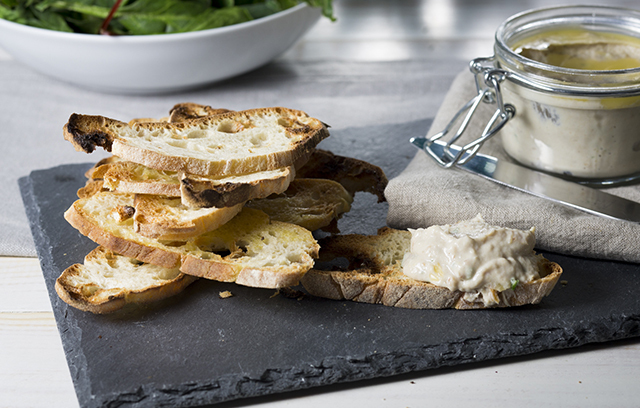 8) A simple pâté made with yoghurt, try this Smoked Mackerel Pâté with Toasted Ciabatta for your next dinner party. From now until the 30th June, Onken are giving you the chance to win £500 worth of KitchenAid and Joseph and Joseph products every hour when you buy any pot of yoghurt from their natural range: make sure you pick up a pot or two for your chance to win (and to make one of these lovely recipes with of course). So what’ll it be? Say yes to yoghurt and let us know which recipe you like best. 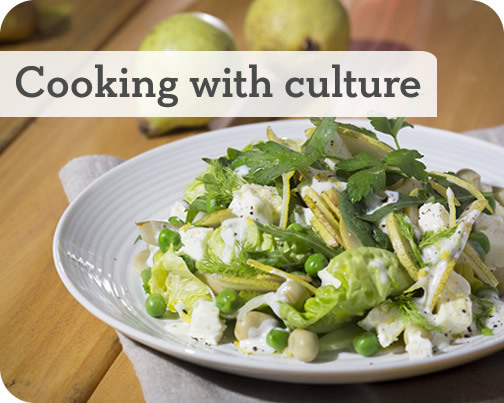 This entry was posted in Talking Ocado and tagged competition, Recipes, Yoghurt by Ocado. Bookmark the permalink.